When treating hair, the energy emitted by the high power diode laser is used to prevent the regrowth of the hair. To do this, the light has to penetrate several millimeters into the skin to reach the root of the hair. When it meets the melanin in the hair (brown color), the light is absorbed, i.e. it is converted into heat. The darker, thicker and denser the hair, the more heat is produced. This heat damages the cells responsible for hair regrowth within the hair and in the immediate area around the hair. This ensures a drastic reduction in hair in the treated area. At the same time, it must be ensured that, despite the heat produced, no blisters or scars develop. 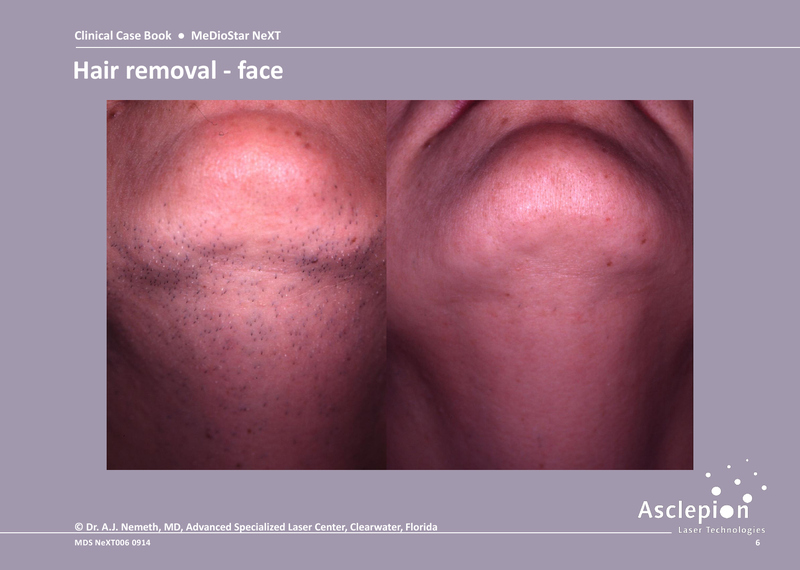 That’s why all of Asclepion’s hair removal technologies include a powerful skin-cooling element, which always cools the most superficial layer of the skin immediately before the light pulse. It also makes the treatment more comfortable for the patient. 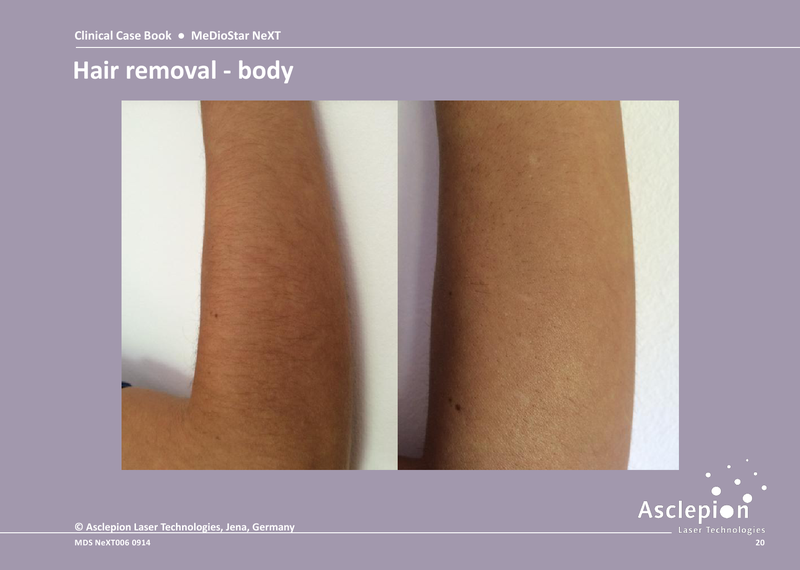 The High Power Diode Lasers of the MeDioStar Family, represent state of the art technology for permanent hair reduction treatments. The wavelengths of the MeDioStar devices were chosen in such a way that the absorption of the light is very high in melanin, but low in water (important substance in the skin), therefore providing for a very selective and safe treatment, with very low risk of side effects. At the same time, this makes it possible to treat even dark skin types (up to skin type VI) with very low risk of hypopigmentation. 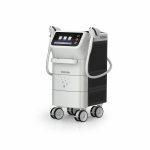 In addition, a special treatment mode (SmoothPulse) can be used for larger areas, which makes the laser pulse sensation almost unnoticeable, even for sensitive patients. Due to the optimum design of the MeDioStar lasers, side effects of more than slight redness and swelling around dark hair are very rare. 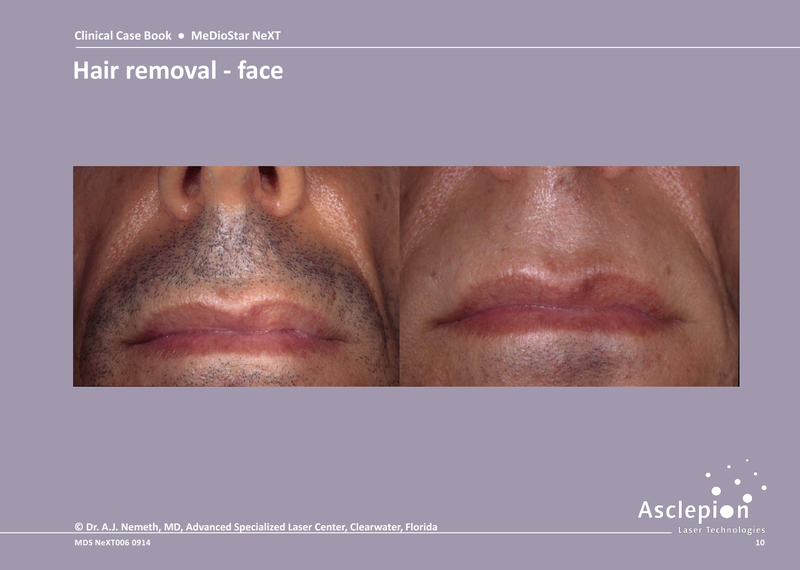 Is the laser procedure effective? The effectiveness of the treatment depends on the color, thickness and depth of the hair. The outcome of the treatment also depends on the hormone levels. To reach a high level of effectiveness, it is important to set up a treatment plan with your doctor based on your skin type and hair consistency. First of all, the hair will be shaved in order to avoid the absorption of the light by the hair laying on the skin. After that, all dark spots on the skin (e.g. moles) are covered with a white pencil and a thin layer of transparent gel is applied to the skin. 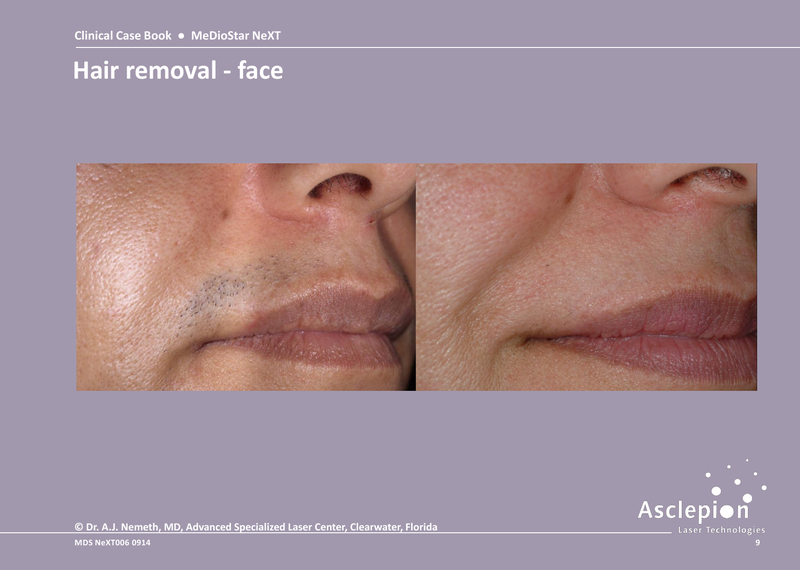 The handpiece of the laser is moved over the parts of the skin to be treated. The laser sends a light impulse, which creates a gentle prickling sensation. 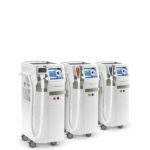 The treatment is very comfortable, thanks to the laser device’s skin-cooling system. In some special cases, it is possible to apply an anesthetic cream before treatment. Following the treatment, a redness of the skin, strong sensations of warmth or wheals can occur. Overall, the side effects are similar to a light sun burn and disappear a few hours after the treatment. After a few hours, you may notice a darkening of the treated area and/or scab formation, which will vanish again after two to ten days. The hairs dissolve after between five days and two weeks, or fall out. How much time between treatments is there? The treatment with MeDioStar is effective and safe on all skin types. As for every other medical treatment, undesired side effects after the treatment cannot be completely excluded. 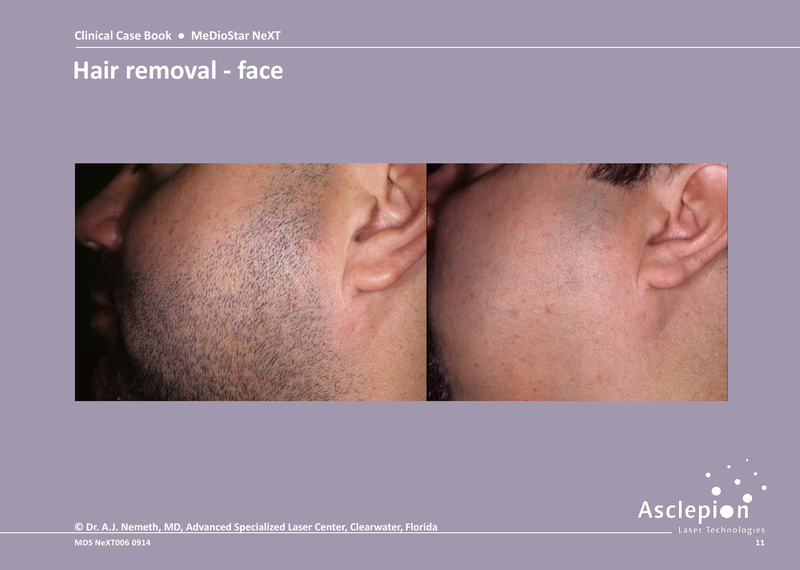 Lightening of the skin or hyper-pigmentation can temporarily occur and, in very few occasions, small scars may form. A slight erythema, particularly perifollicular erythema, can develop especially for dark, thick hair. In any case, all these effects are reversible and will disappear within a few weeks. For further information about possible side effects please ask your practitioner. 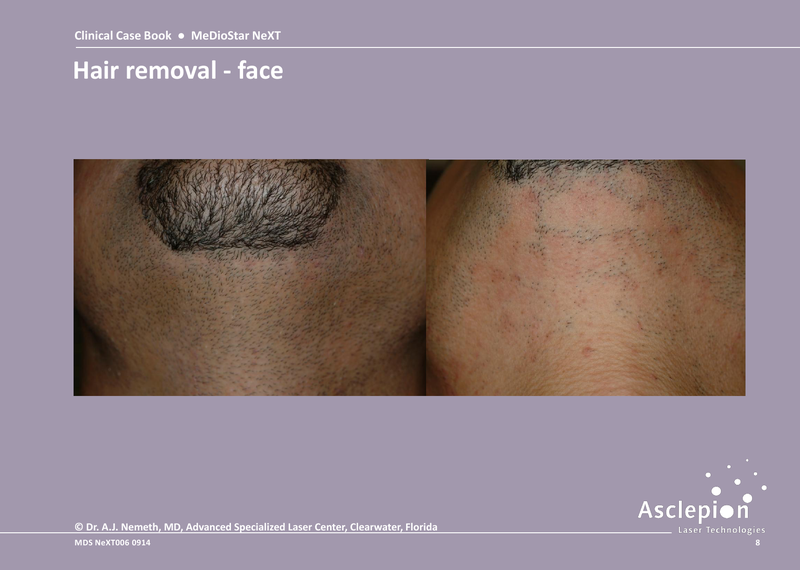 Effects of the 810-nm diode laser on hair and on the biophys. properties of skin. T. Ilknur et al. : Lasers Med Sci 2010, Oct. 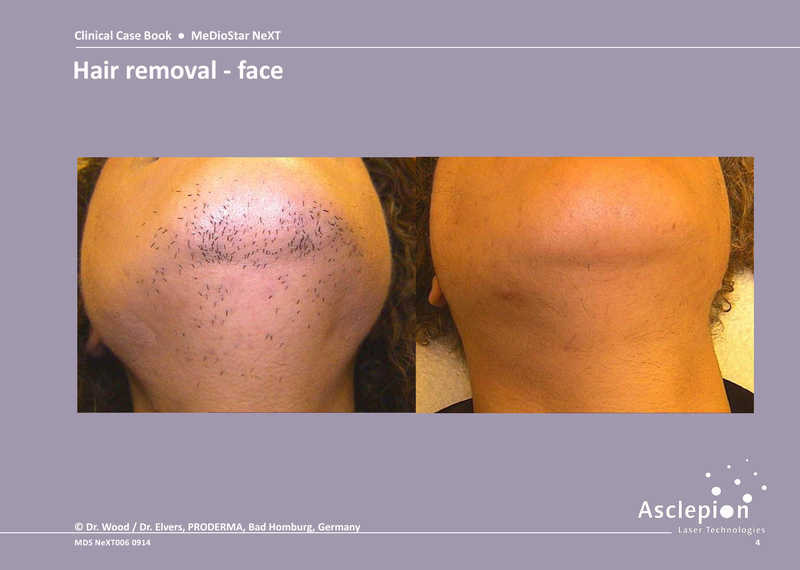 The Effect of Different Spot Sizes on the Efficacy of Hair Removal Using a Long-Pulsed Diode Laser. 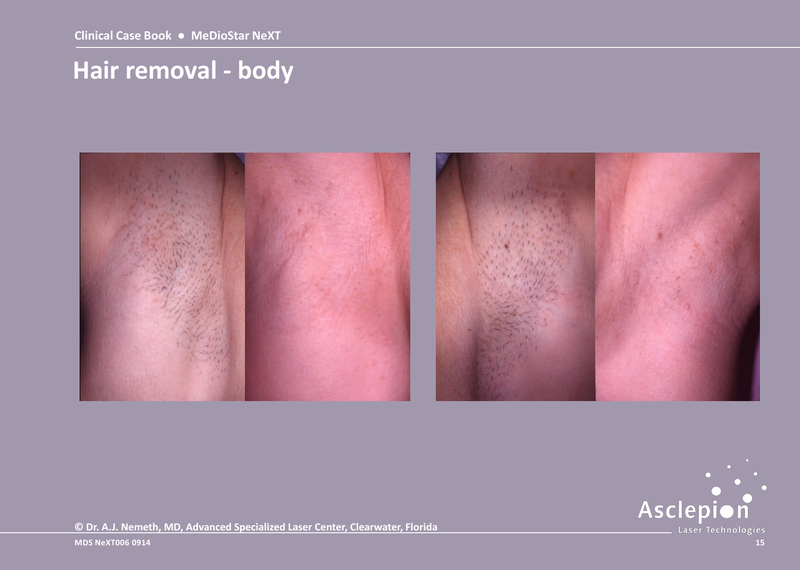 Hair Removal with Long Pulsed Diode Lasers: A Comparison Between Two Systems With Different Pulse Structures. 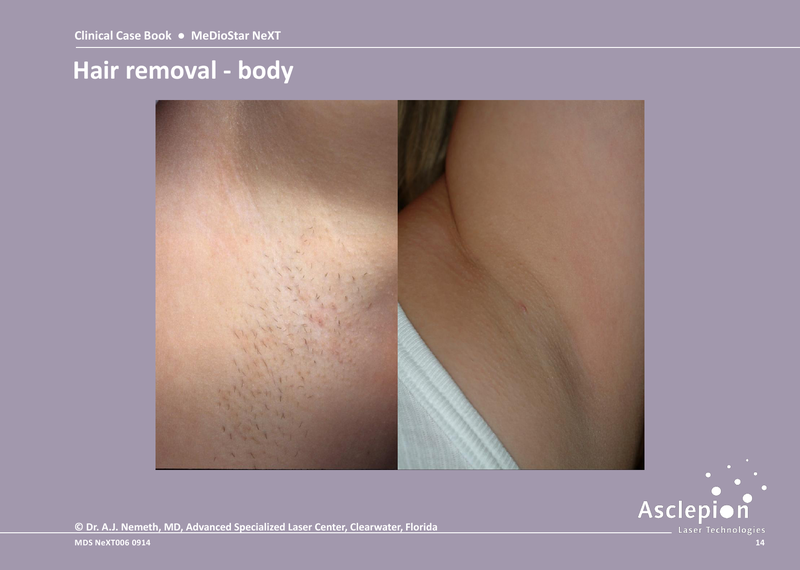 The Use of a New Diode Laser for Hair Removal. 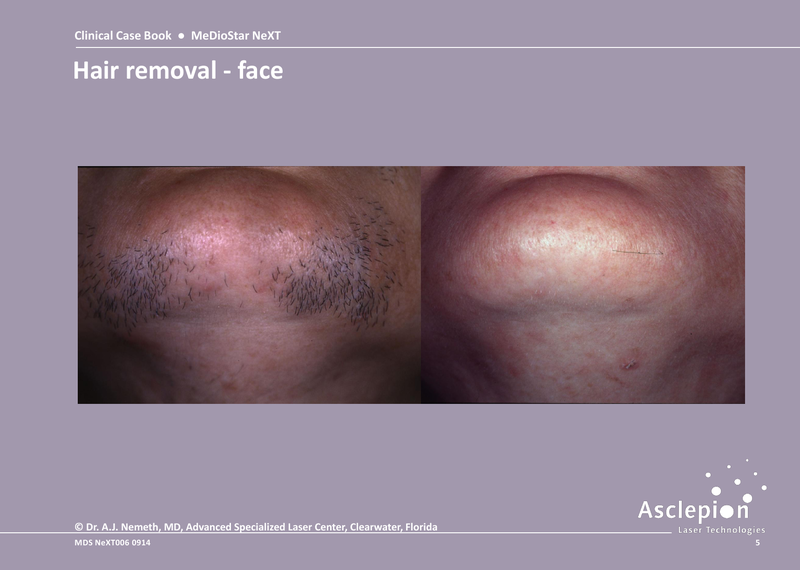 Impressive laser hair removal with an 810 nm powerpulsed diode laser: safety and efficacy.